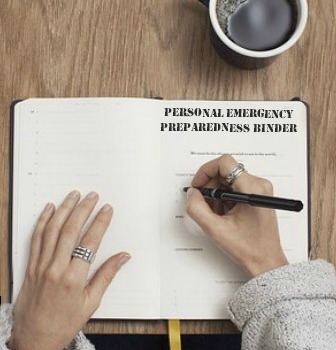 Do you have vitamins, supplements, and prescription medications stored up to help you stay healthy during a worst case scenario? One thing you may have been concerned about was the expiration date on those bottles. Placing a vitamin or medication in a cool and dry place will help it remain potent for many years. It is important for us to know this and have good supplements on hand in the case of emergencies. Read on, because you will be surprised how long they last. Although mandated for over-the-counter and prescription medications, the FDA does not require supplements to have expiration dates. But, many vitamin and supplement makers voluntarily list expiration dates to express how long a product is guaranteed to retain its highest level of potency. Manufacturers will not make recommendations about the stability past the original expiration for legal and liability reasons. Are vitamins safe and effective after the expiration date? Since the FDA doesn’t require expiration dates on vitamins/supplements, manufacturers place the date on the package “voluntarily”. Some manufacturers no longer use expiration ates, but instead put “manufactured on” dates on the labels. Swanson Health Products has stopped printing “Best Before” dates (also referred to as expiration dates) on bottles of their vitamins and supplements and switched to printing “Manufacture” dates. Sometimes, expiration dates are set to expire “sooner” than the predicted life expectancy in order to drive up sales (buy a new batch) – so don’t be duped by the date. Are medications safe and effective after the expiration date? Passed in 1979, an FDA law requires drug manufacturers to stamp an expiration date on their products. This is the date at which the manufacturer can still guarantee the full potency and safety of the drug. Most of what was known about drug expiration dates came from a military-requested study conducted by the Food and Drug Administration (FDA). With their costly stockpile of drugs, the military was replacing its drugs every few years. An expensive practice. The drugs were worth tens of billions of dollars and were for a large-scale emergency. The study found that 90% of hundreds of drugs (both prescription and OTC) were safe and usable even 10-20 years after the expiration date. They concluded that a stated expiry date, did not always indicate it is no longer effective or has become unsafe. The drugs have to be kept secure and at the proper humidity and temperature so they don’t degrade. Though the government requires pharmacies to throw away expired drugs, it doesn’t really follow these instructions itself. Instead, for more than 30 years, it has pulled some medicines and tested their quality, and guess what? Many were still effective and could be safely used. In response, the FDA and Defense Department created the Shelf Life Extension Program. Stockpiles are chosen based on their value and expiration period, and analyzed to determine whether their end dates could be safely extended. The program has found that the actual shelf life of many drugs is well beyond the original expiration dates. Some research even indicates decades. Similar findings are found published in the Journal of Pharmaceutical Sciences. Recently, a pharmacist named Roy Gerona from UCSF (San Francisco), and Dr. Lee Cantrell, a Toxicologist and Professor from UCSD (San Diego), had a hunch that the term “expiration date” was not really accurate. After their in-depth research, their findings surprised both researchers: 90% of the compounds tested, were still as potent as they were when they were manufactured, some at almost 100% of their labeled concentrations. Similarly, a Harvard University publication, states that expired drugs are generally safe to take – even those that expired years ago. 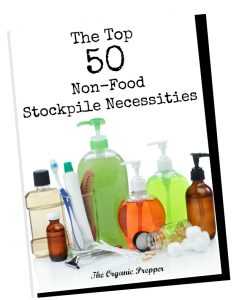 Exceptions include insulin, vaccines, inhalers, liquid anti-biotics, nitroglycerine, tetracycline and a few more. Liquid Supplements, probiotics, fish oils, enzymes, and a select few others. You can prolong the potency of your vitamins and medications by the way you store them. The majority of us probably keep these items in the kitchen or bathroom since that’s where we take them. A good practice is to keep them high and dry. so the trusty high kitchen cabinet away from heat, light, and humidity is just fine. Don’t sweat the expiration date, but …store them correctly. Store them as you would any medication, in their original containers and out of reach of children. Be sure to avoid any cabinets or shelves that are close to windows or heating pipes where temperature and humidity might fluctuate. Capsule, Gel, or Tablet ? Gels and capsules age more quickly. So, if you have a choice when choosing vitamins and supplements for your stockpile, choose solid formed products. They can be just as potent and they’ll last longer. And that is what we organic preppers are all about. Michael Dees writes about health, wellness and living with a mindset of preparing for the worst, but expecting the best. He loves all things organic and has 12 Hens that lay organic eggs.